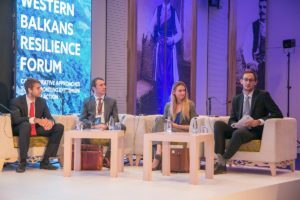 In November 2018, the Strong Cities Network convened over 40 representatives from the SCN’s Western Balkan cities, including ten mayors and deputy mayors at the Western Balkans Resiliency Forum in Budva, Montenegro. The forum was hosted by the International Republican Institute (IRI) in partnership with SCN and supported by the Bureau of Conflict and Stabilization Operations, U.S. State Department. 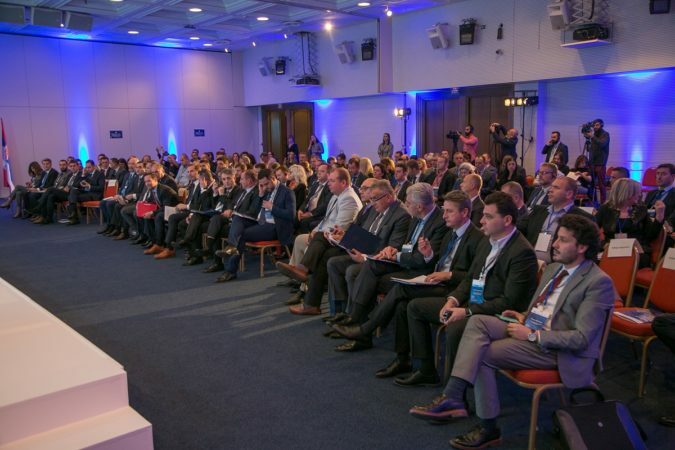 The event marks a significant step towards the need to focus on local engagement and collaboration in the region, and brought together over 200 CVE experts, politicians, practitioners, and researchers from across six countries in the region, including Albania, Bosnia and Herzegovina, Kosovo, Macedonia, Montenegro, and Serbia. 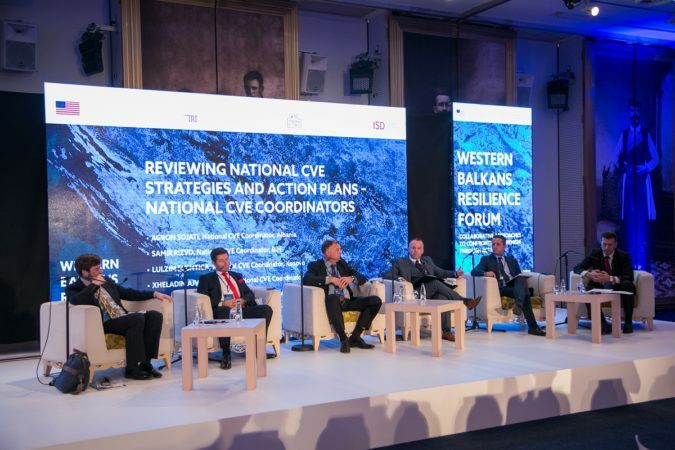 This included experts and practitioners from across the CVE sector, including government, practitioner, civil society, academia, media representatives – with over ten sessions dedicated to panels on subjects such as government/civil society collaboration, CVE drivers in the Western Balkans context, strategic communications, and the challenge of returnee foreign fighters. Ministers and Deputy Ministers of Interior from five governments provided official statements on the national challenges of security and extremism in their countries, and multiple sessions were dedicated to bringing together national CVE coordinators, mayors, and civil society organizations. 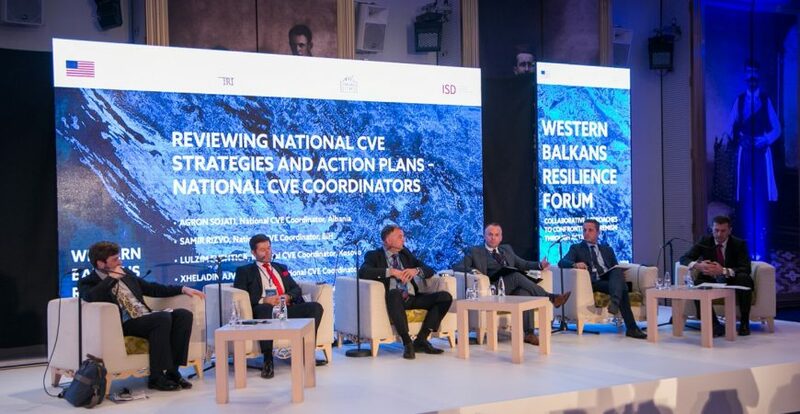 Daniel Hooton, Senior Programme Manager on the SCN, moderated a panel with five national CVE coordinators (Albania, Bosnia and Herzegovina, Kosovo, Macedonia, and Montenegro) on best practice around vertical collaboration between national and sub-national government. As part of this process, national CVE coordinators also sat with civil society and staff from municipalities in their countries to better understand municipal challenges. A summary of these findings can be found here. The forum represents an important milestone in the continued focus of governments across the Western Balkans region to work more collaboratively at a local level, to empower cities and municipalities to lead on building resilience in their local communities, and to build practitioner expertise on how to deal with the broad challenges of extremism and polarisation in the region. The event was also used as a launch for a Small Grants Programme, administered by IRI, designed to foster local CVE initiatives, totalling $50,000. In 2019, the SCN will be working to identify key pilot city in the Western Balkans for the launch of its regional prevention infrastructure model. This will see the establishment of a multi-stakeholder local prevention network, the development of a local action plan, and the training of local actors to deliver key activities. The network will also identify a number of co-pilot cities with which this learning will be shared, inspiring effective grassroots prevention mechanism across the region in partnership with the learning and good practice developed through the pilot city. In addition to the research, data collection and training undertaken through this capacity-building programming, members will continue to have access to global training and exchanges and online resources.